Raphaele Shirley is a French-American multi-media artist living and works in New York City. Her practice ranges from light art, sound, public art, social interventions and performance. Some of those include Perpetual Art Machine [PAM], an interactive video installation and online web community, founded in 2005, of over 2000 members. In 1998 she was one of the founding members of The New York International Fringe Festival, the largest theater festival in the US. 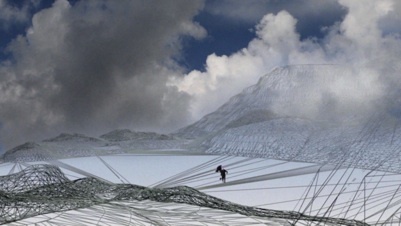 Some of her site-specific works include Jewels of Kvinesdal, Utsiken Center Norway, a 30’ wide stainless steel, a xenon sky-beam viewable from 15 kilometers around; Shooting Stair for Dorfman Projects, Long Island, NY, a water and laser light sculpture set outdoors. Her piece “Light Shot on a Bender” combining LED lights and water was presented in the Bring to Light festival in 2011 in Greenpoint, NY. to an audience to over 1000 pers. Her work has been shown in venues such as the Chelsea Art Museum and Post Masters Gallery, New York, the NCCA Moscow and the 2nd Moscow Biennial, Russia, at the S.R. Guggenheim museum NY, at the State Hermitage Museum, St. Petersburg Russia, the Museum of Modern Art, Linz, Austria and Art Basel/Miami 2006. She participated in 2009 and 2010 in the artist residency/sail boat expedition to the Arctic Circle, Norway. the Museum of Moving Image, spring 2013. 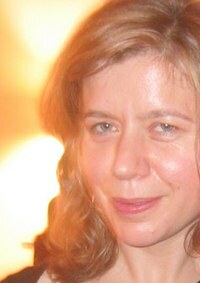 Raphaele has been the recipient of several awards and grants, including two recently from the Norwegian Arts Council. In this work Raphaele explores architecture, scale and time-references in a cinematic context. Combining original 8mm and 16mm home films from the families of the town of Sandnes, Norway, topographical maps sourced from geographical surveys of Norway and a virtual "superstructure" drawn from her own sculptures, she sur-imposes these elements by means of a moving image collage, into a new form, merging past, present and future, virtual and real worlds. 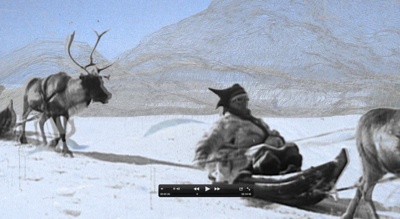 Raphaele compresses, through editing and animation techniques, the original family histories into an eclectic universe where living characters navigate in part-real / part-fictitious settings. Raphaele leads the viewer through a charged yet indeterminate narrative revealing both imaginative and subconscious landscapes, touching on the deeply local and deeply universal at once. 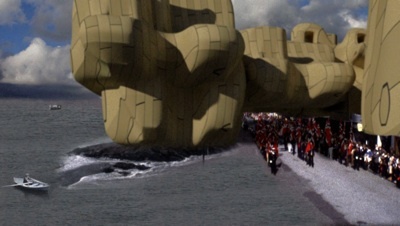 Collaborators for this project include NewMan's land (Norway, for animation), Julius Kowlowski and Joel Beck (New York, for sound and art direction).